Drive the gobblers wild with our Ole Scratch pot call. 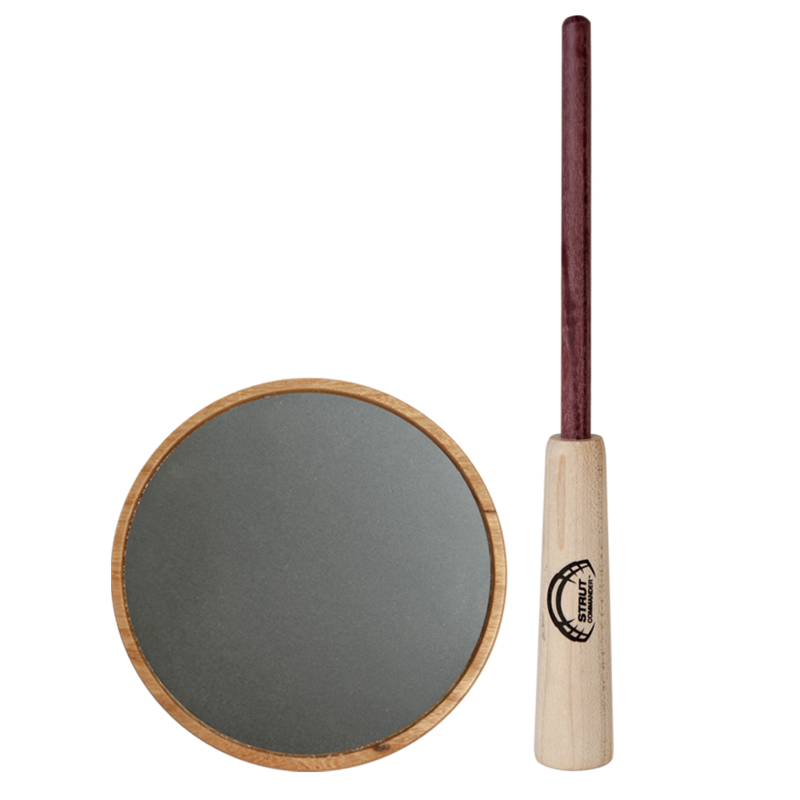 This call features a hand-turned cherry wood pot, a slate surface capable of producing a more mellow, raspy variety of yelps, clucks, cutts, and purrs, and a 2-piece purple heart wood striker. Made in the USA by craftsmen who have a passion for turkeys!